DRAGON BOATS | The company Český Regent s.r.o. 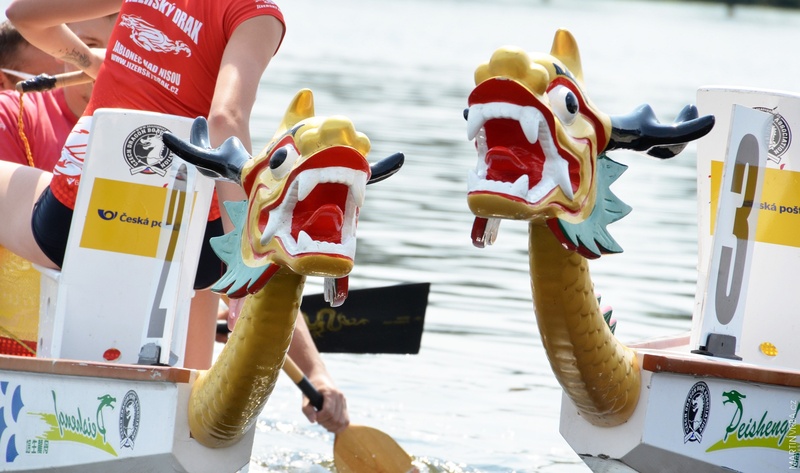 The history of dragon boat racing began in China more than 2,200 years ago. The modern era began in 1976, when the first dragon boat festival in Hong Kong was held. From there, the sport spread rapidly throughout the world. At present, over 50 million athletes from more than 50 countries are actively engaged in this discipline. Every year, the Traditional World Championship of Dragon Ships is held in Třeboň. No, it's not a real world championship, we just call it that because it traditionally takes place in Svĕt, the World Pond. The races are designed for both amateur and corporate crews and beginners. 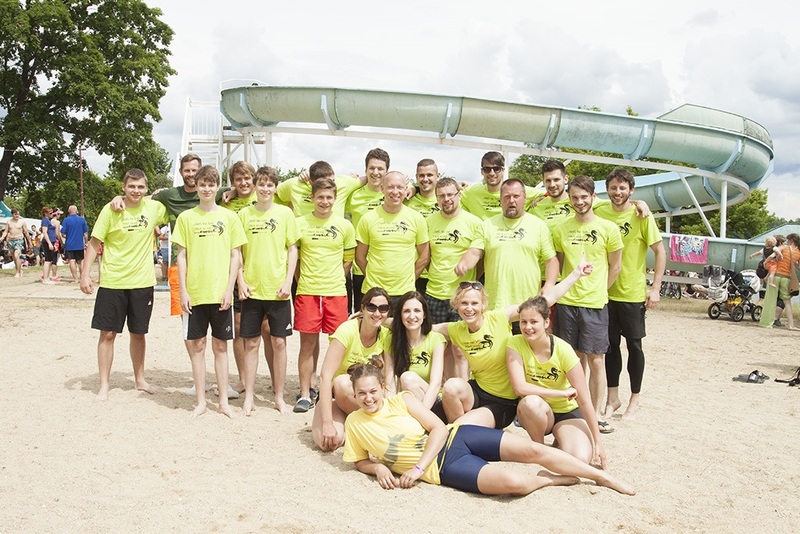 In 2016, Třeboň hosted the 9th annual event, and from 2014, the Bohemia Regent Brewery, together with the Czech Dragon Boat Association, participated in the event. 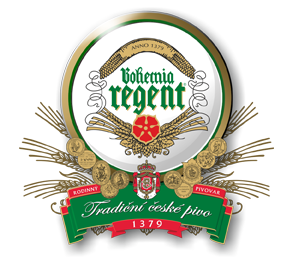 After the race, an after party event takes place in the courtyard of the brewery with the announcement of results and a live concert for listening and dancing and, of course, tasting traditional Czech beer. 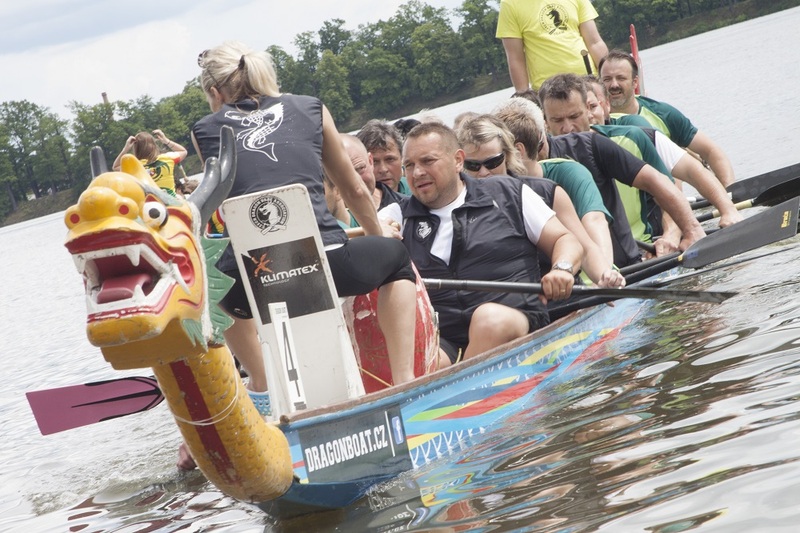 Dragon boat races are amazing in that anyone can take part, either as an experienced oarsman or a common mortal who has not experienced it before. Dragonboating is a team sport on water, both men and women sit together to show that as one team they can do far more than as an individual. Joint success in a race or training means a common joy and celebration. Just put together 17 to 20 people and come to try it out. You canhire a boat, paddles and a helmsman for the entrance fee, and you can go for it. We believe the race will get under your skin and you will never miss another year. It has the shape of an open canoe 12.5 meters long, the top is decorated with a dragon's head and tail. The crew is made up of 22 people, 20 of them sitting on the sides (10 on the right, 10 on the left), the drummer sits at the bow, and beats on the drum indicate the rhythm of paddling; the helmsman steers from the stern. Video from the 9th year of 2016 in Trebon. 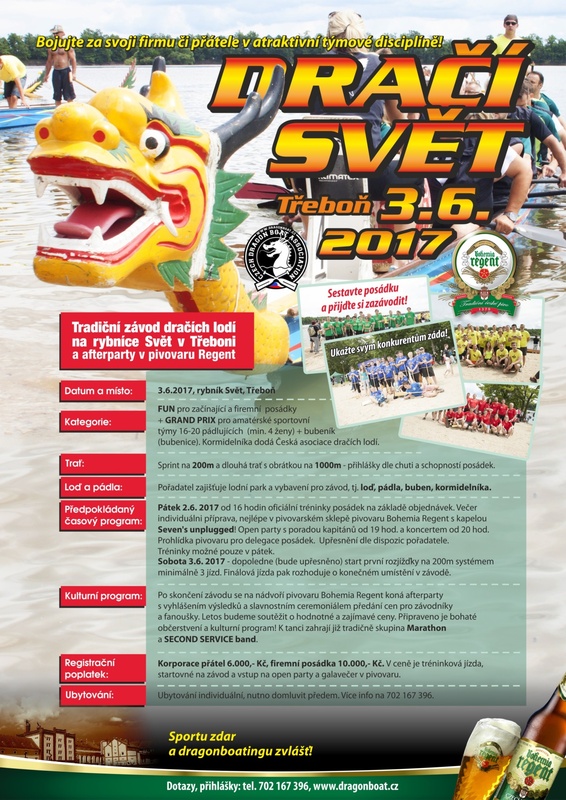 The 10th year will be held again on 3.6.2017 on the Pond Svĕt in Třeboň. See the poster for more info.